Writers love the English language. We also hate it. Sometimes we agonize for hours, comb online thesauruses, and reject dozens of choices before we arrive at just the right word to convey our meaning. Other times the words flow faster than money out of our bank accounts. As crazy and illogical as our language is, it’s also beautiful, poetic, and sometimes downright funny. 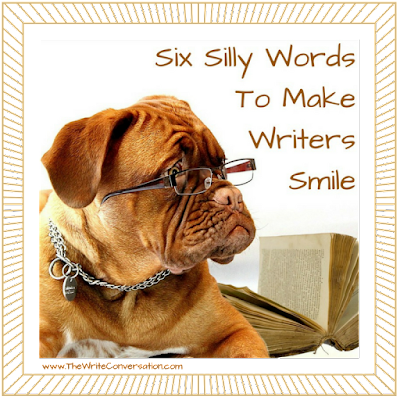 Today I’ve chosen six words to share with you, courtesy of alphadictionary.com, that are hilarious, either in their spelling, meaning, or pronunciation. I hope they bring you a smile. 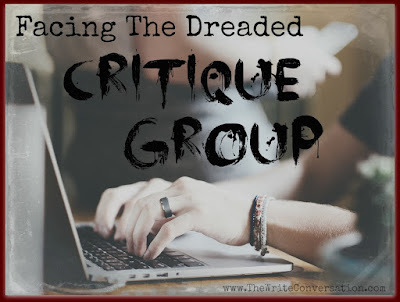 OK. You made the plunge and decided to join a critique group. One is respect for each of us as a person and as a group. Be on time at the beginning and at the end. Respect each other as people and as colleagues striving to be the best we can be. 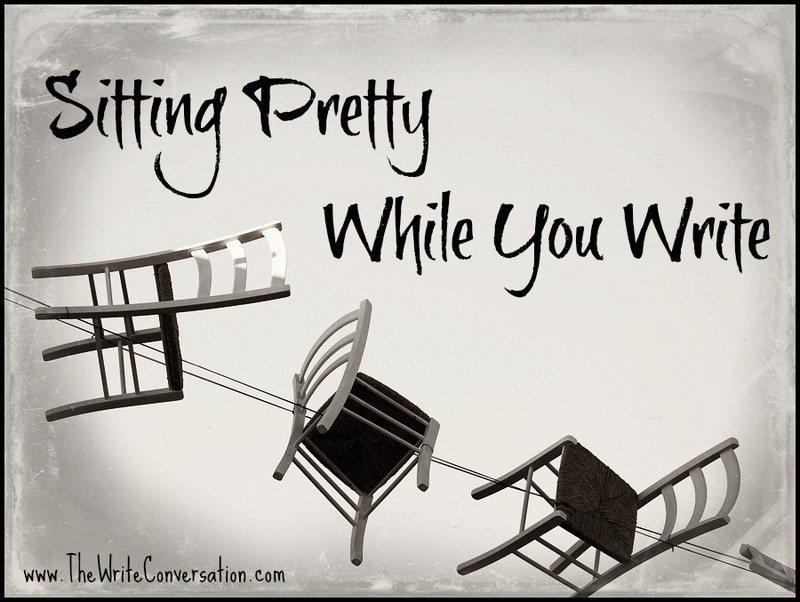 Treat each other as the professional writers we are. 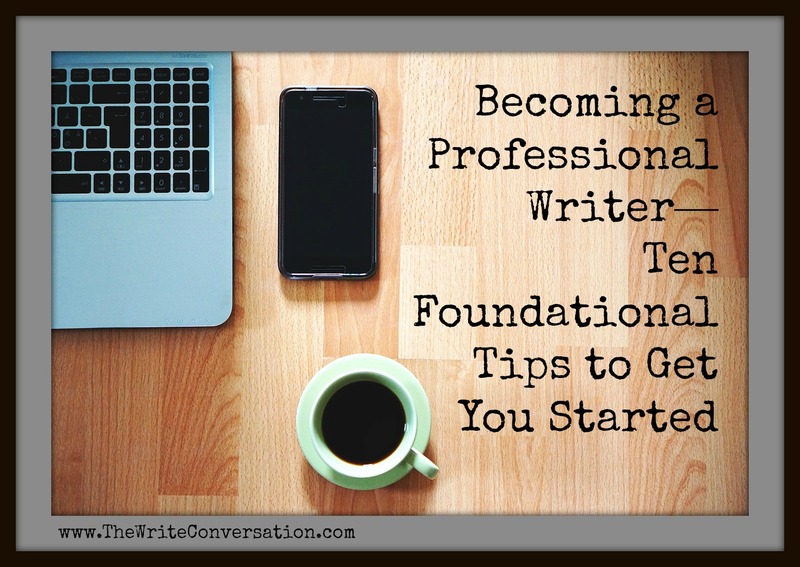 Dive into what’s essential for a fiction or nonfiction book. Plan subject matter and chapters. 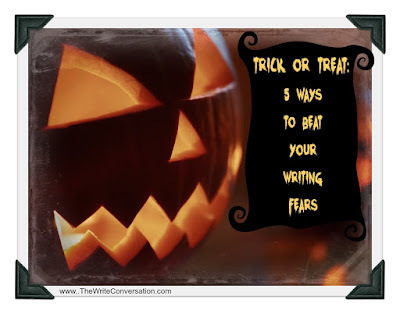 Talk about their writing project to friends and family. 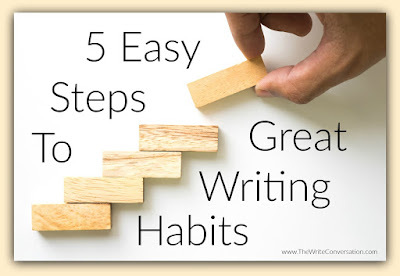 Every one of these practices is excellent, but the first question I ask every new writer is, “What is your passion?” How can a writer expect readers to be excited about a book unless the writer is emotionally involved? For the past four years, Mark Hancock (who serves as Director of FCWC alongside me) and I have worked hard to bring the best in Christian publishing to Florida Christian Writers Conference. This coming year’s conference is no exception. And, this year we offer a few changes and surprises I’d like to share with you. Here are the first four. Many people have held out hope that it would never happen again. Yet here it is: I’ve written another poem. Yes, I do know I’m not a poet. Real poets? They feel compelled to write poetry. Me? I write poetry more out of…rebellion. Real poets write poetry from the heart. I think mine is more from the liver. Maybe pancreas. As if it’s not enough that I’ve ignored the pleas of those who’ve read my poetry before, this particular poem must be read in the voice of a well-schooled Shakespearean actor. Those who are weak of constitution or who are…you know…English-literature-literate, should read with caution. And also with my apologies. I heard at a writers conference that 10,000 was a good number. The question was how many readers need to be in your audience for a major traditional publisher to consider publishing your book. 10,000?! 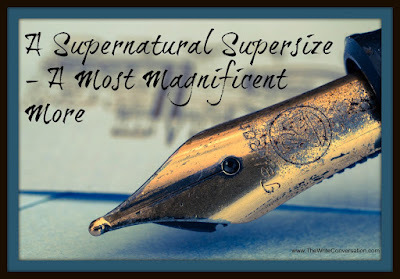 About that many people attended my former church, and for my original publishing dream to come true, every person in my church would have to like my writing and follow me online. The thought left me breathless. By now everyone is an expert at SEO and knows how to load up their books and their book pages with keywords. Well, if you are nodding along pretending to be an expert (like I do sometimes) than this post is for you. 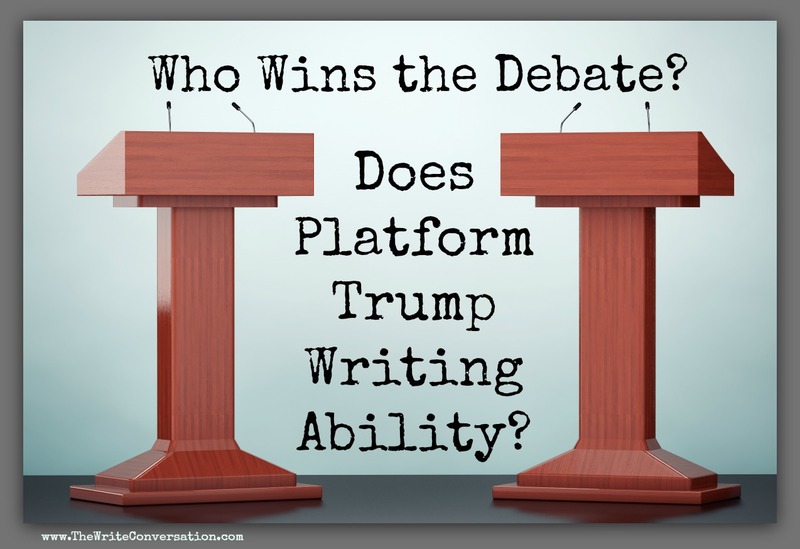 Does Platform Trump Writing Ability - Who Wins the Debate? 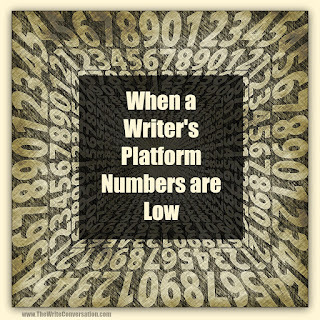 As a literary agent, I routinely get asked which is more important platform or the quality of the writing? 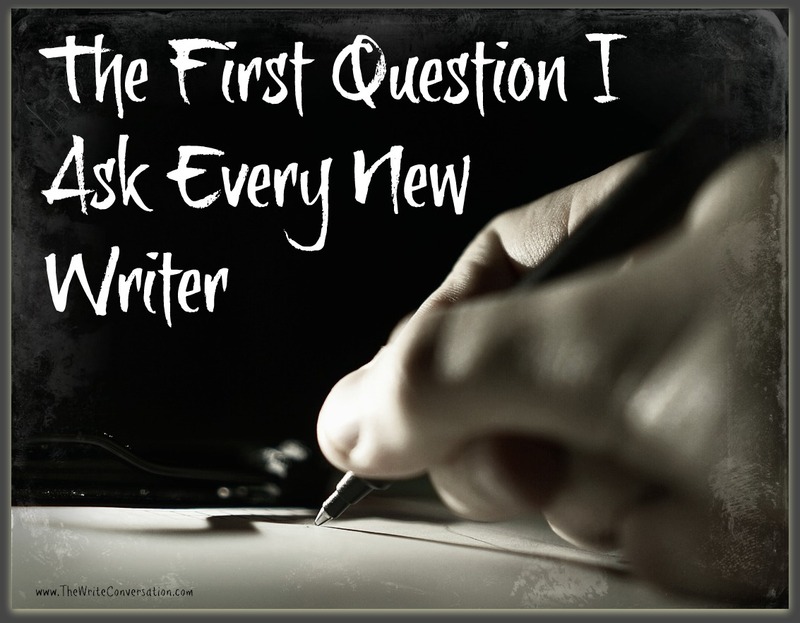 For writers who are looking to get published, this is an important question to debate. It may be the most important question. The correct answer is not as easy as it may seem. 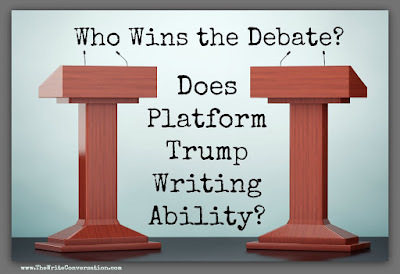 The winner of this important debate between platform and writing ability can change more frequently than the tide. For the purposes of this post, I will look at this great debate from a traditional publishing perspective as it pertains to unpublished authors. For self-publishers, a third-party candidate weighs into the equation—marketing/networking. Edie here. I'm sure we all knave friends who are not only super organized, but can apply their organizational skills to others. Today my guest post is from just one of those friends - Cynthia Owens. She also has a new book releasing today that applies those skills to organizing our computers. Be sure to check out her book, ORGANIZING YOUR COMPUTER FOR WRITERS & SPEAKERS, previewed at the end of this post. 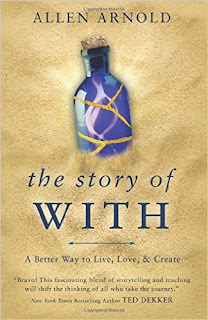 Also leave a comment and be entered for a drawing for a copy of the book! I'm constantly being asked for ideas of what post on social media. It's important to use those updates as a tool to start a conversation with your friends and followers. 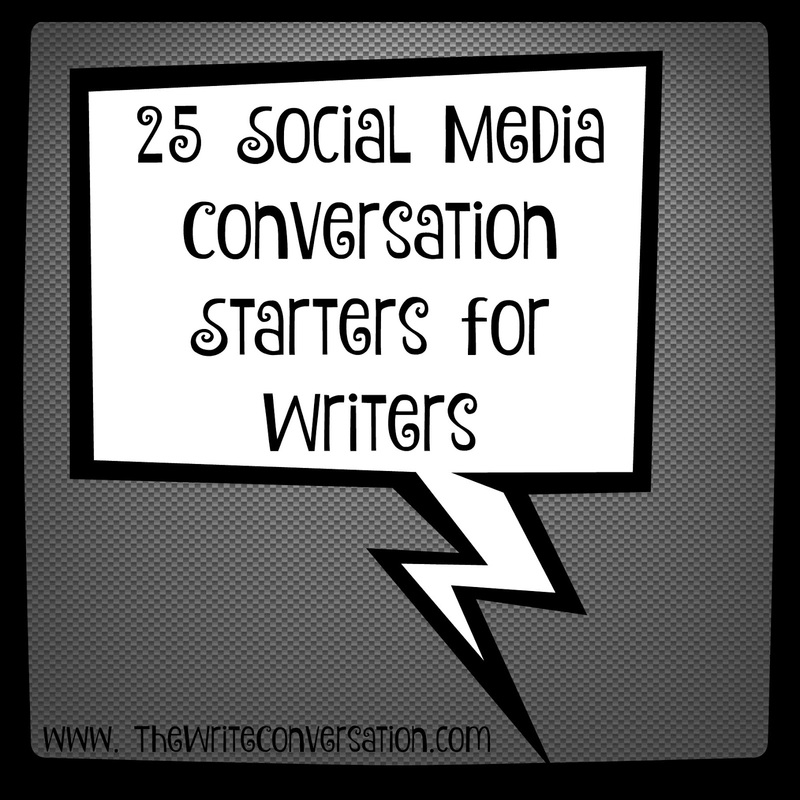 So I've compiled a list of 25 social media conversation starters for Authors. These should help you never be at a loss for words! I’m all about the social scheduling. I like the one-and-done apps when I can share one link and it will post about nine different ways or more. Especially when I can use my Smart Phone to get things done. I have all the social media world I need in the palm of my hand. 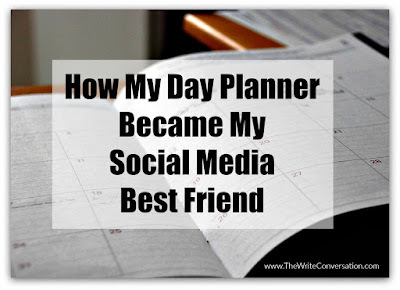 But scheduling posts doesn’t always keep me on track. I rely on my memory from day to day, only to find the occasional overbooking has occurred with media posts and social events. What’s This Girl to do? Ironically, I bought that sign the same year I sat down to write my first book. And though the writing flowed easily, nothing prepared me for the publishing giants I would face—doubts, questions, and hard work after the ink had dried on the manuscript. There's just something about fall that calls me outside. I think it's a combination of the cooler days and beautiful palette. 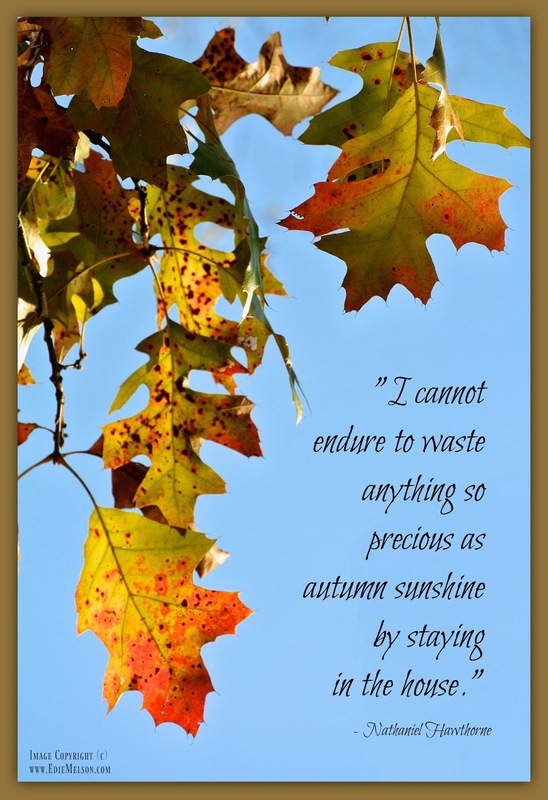 What's your favorite part of autumn? Edie here. Today I'm so excited to welcome back Jerusha Agen. She's been a guest here before, sharing Tips for Nurturing Our Creativity, and I convinced her to visit again. She's a prolific author and I"m excited to introduce you to, This Shadow. Be sure to read more about it at the end of the post! You’ve carved out the time. The house is quiet at last. You’ve been talking about wanting to write, needing to write. 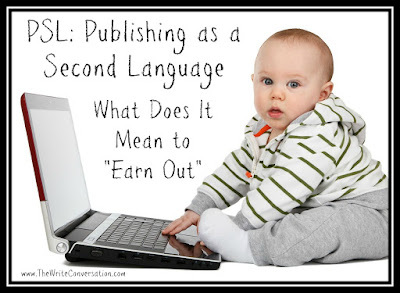 Publishing as a Second Language—What Does it Mean to Earn Out? Reading a new writing magazine, I came across the words “earn out.” Would I have known what that meant just a few years ago? I’m not sure I would have. 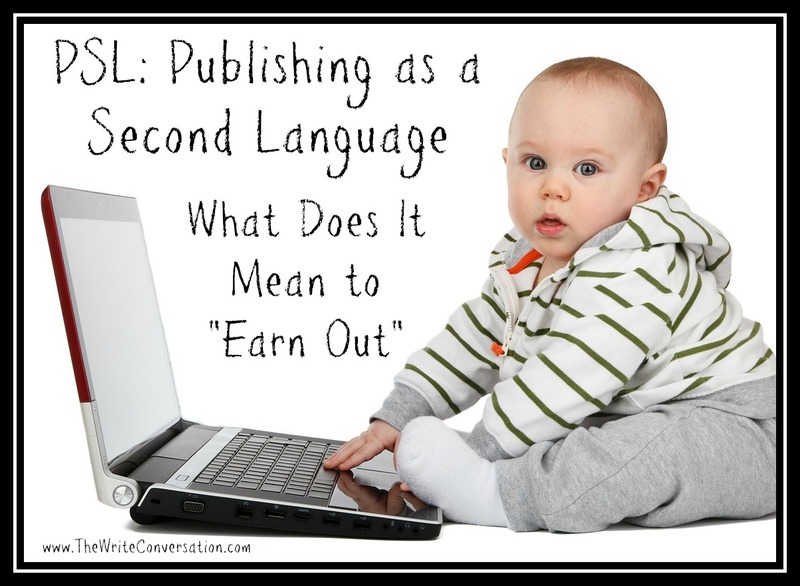 You don’t usually hear the words “earn out” until you get serious about publishing your work. “Earn out” often accompanies words like advance, royalty, and payment. My head hurt. My neck was stiff, and I kept a lump on my right shoulder blade that ached and stung. I dreaded sitting at my computer. After countless hours with a massage therapist and the chiropractor to get the kinks worked out, the error of my ways became clear. I wasn’t paying attention to the cries of my body. It’s an occupational hazard for the writer. We become so engaged in the work, we forget the needs of our bodies—even when they’re squawking at us. 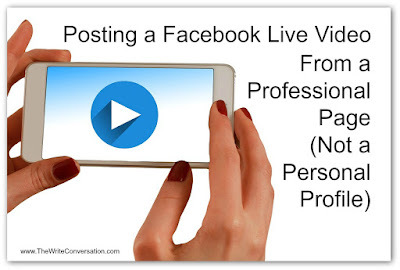 Most of us are aware of the option of recording Facebook Live Videos. These are a great way to increase visibility on Facebook. But, posting these from a Professional Page isn’t as easy as you might imagine. 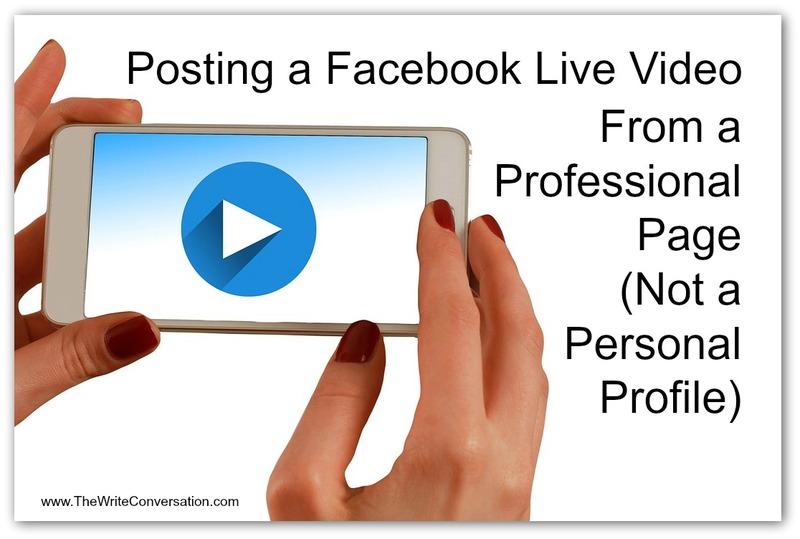 So today I’m going to go over the basics of what you need to do to have a successful FB live video, and how to post one from a professional page. Keep on Asking...Live the Question! I tend to mix and merge my metaphors to the confusion of many a reader. Today is no exception. Evidence of a chaotic mind. 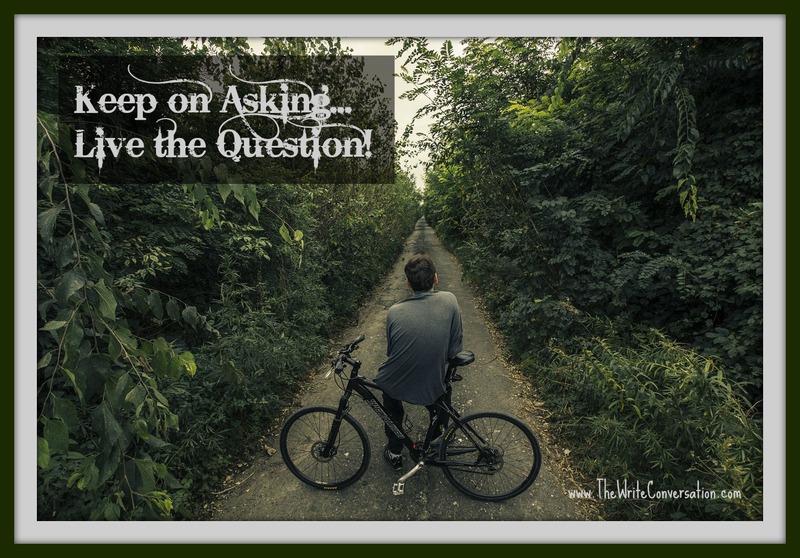 How do we ask the big questions, or rather, how do we decide what they are? What constitutes even the framework for deciding and determining if a question is big or not? When the answers are unknown, is there a way to conclusively determine which questions are the biggest? We tend to base a question’s relevance on its answer, because the answer is, in our minds, the point of the question. Isn’t it funny how pursuing success can end up teaching us a lot about failure? 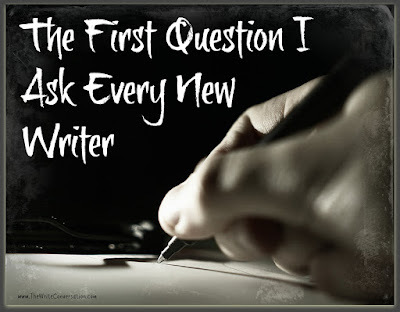 I dreamed about being a writer for a long time. 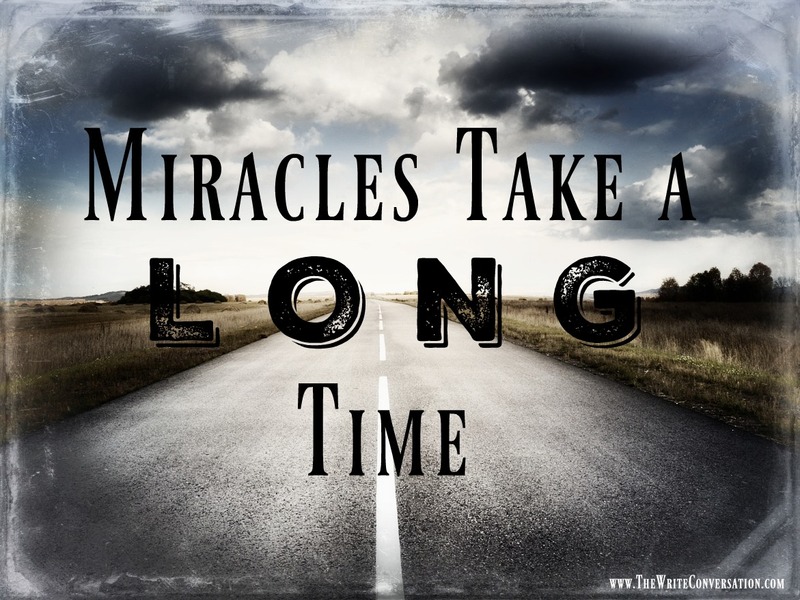 Postponed it for years while I focused on being a wife and a mom — and facing my failures there. And my successes. There were those, too. And then one day I stopped dreaming about writing. I stopped saying, “I want to be a writer” and I started doing the things that I needed to do to make my writing dream come true. I attended conferences. Met with editors. And agents. Pitched article ideas. Submitted articles. Dealt with rejections and acceptances and deadlines and hopes and disappointments. And my dream came true, just as I hoped … and in ways I never imagined. Greater success than I’d hoped for and yes, more disappointing failures than I imagined too. I discovered that the failures were the making of me more than the successes. A dream coming true doesn’t mean life is perfect. Oh, it may feel like that for a few fleeting moments. And it’s so very important to hApPy DaNcE whenever the opportunity arises. And a dream come true helps you realize your own imperfections as you wrestle with the “less than” moments that inevitably appear while you’re living the dream. A dream come true such as … oh, a book contract, for example … is an opportunity for you to discover who you are when your dream is everything you ever hoped it would be … and when it’s not. When the applause is deafening … and when not a single person claps for you. When your efforts pay off (royalty check, anyone?) and when there seems to be no return on your efforts, either in dollars or stars (readers’ reviews). 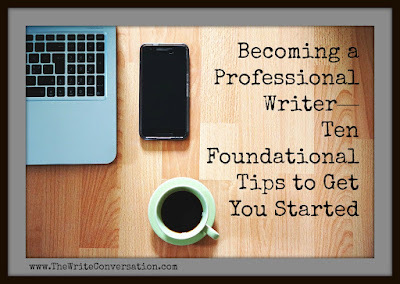 Yes, I consider myself a successful author — and by that I mean I’ve been contracted since 2011 and I’m teaching and mentoring other writers and I’m surrounded by a wonderfully supportive writing community. But the best thing about pursuing this dream? I don’t fear failure like I used to. In Your Words: Which do you fear more: success or failure? Why? 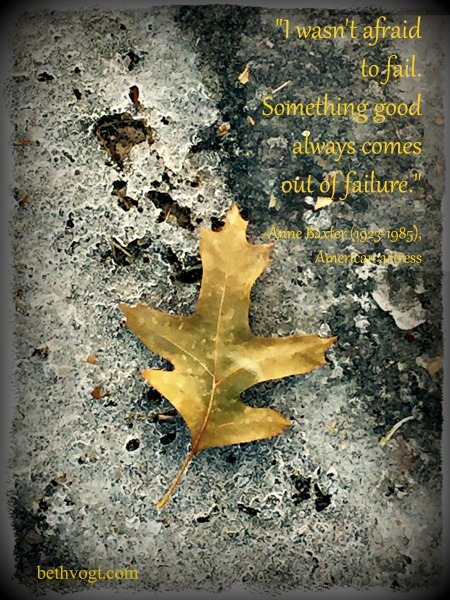 And what good has come out of failure in your life? Cancer has its ups and downs. Fortunately, my dependence on God has made the downs less deep and short in duration. Wait! I’m glad God is keeping you out of the pits. But seriously? Cancer has ups? I know it’s hard to believe, but…yes. I read a lot of books on writing, creativity, and productivity. I read a lot of writing blogs. I listen to a lot of writing podcasts. At some point, it all starts to run together and while there may be a particular point or concept that sticks with me, it’s often difficult to remember exactly where I read or heard it or who exactly shared the information. But there is a post I read about eighteen months ago that resonated with me so deeply that I can tell you exactly who wrote it and where it appeared. It was a post about writing with God for seven days, it was written by Allen Arnold, and it appeared on Novel Rocket. Despite news to the contrary, I believe this is the best time ever to be a writer. Writing for a living isn’t a get rich quick scheme, but it is possible to make a reasonable income. Becoming a professional writer takes hard work. 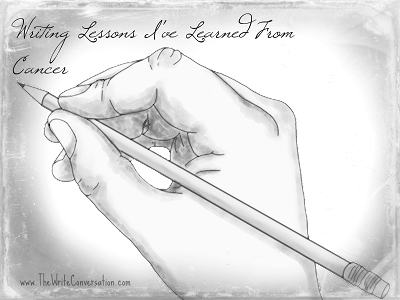 But if we’re willing to learn the industry and the craft of writing, we can find success. Today I’m going to share my tips that will help you find that success. For more than 90 years, writers have turned to Writer’s Digest for friendly, encouraging and authoritative insights about how to write better and get published. And attending the Writer’s Digest Novel Writing Conference is like stepping into the magazine’s pages; attendees leave inspired, more confident in their abilities and with a greater understanding of the current publishing landscape, including self-publishing opportunities. 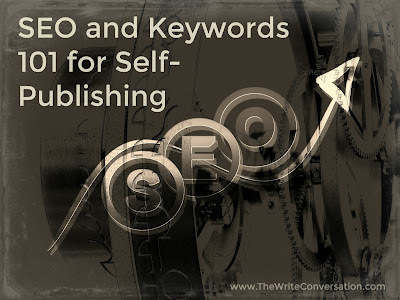 From the first sentence to the book’s marketing plan, this event is the opportunity to build a better book from the ground up, from the first sentence to the marketing plan. Writer’s Digest Novel Writing Conference boasts a lineup of speakers that includes New York Times bestselling authors—including Garth Stein and Christopher Rice—plus Pulitzer Prize-Winner, Jane Smiley. They’ll join a host of literary agents and industry experts at this uniquely positioned event—one of the few focused exclusively on the craft and business of novel writing. 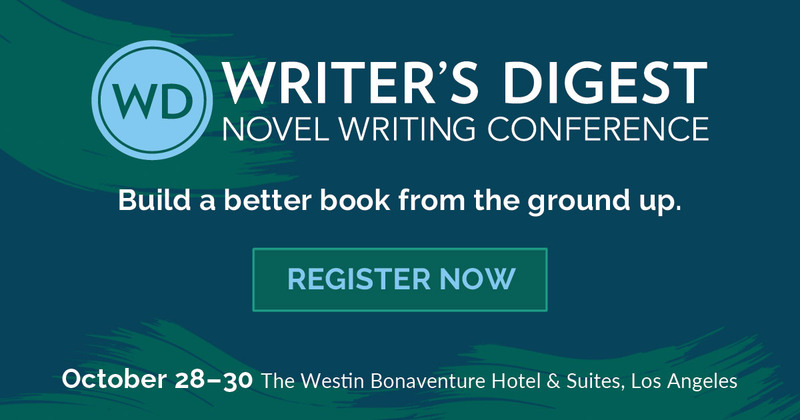 Who Attends Writer’s Digest Novel Writing Conference? Writer’s Digest’s reputation attracts a uniquely dedicated group of writers. Most have been writing for years and many have already published. They want and expect relevant information to further their writing careers—and this event gives it them, no matter what stage of their journey. Whether you need help with the broad strokes of your novel or guidance for fine-tuning your nearly finished manuscript you’ll find sessions offering what you need across multiple tracks. Mix and match among Craft, Character, Storytelling, Genre Studies and more. Your picks, your weekend, built your way. 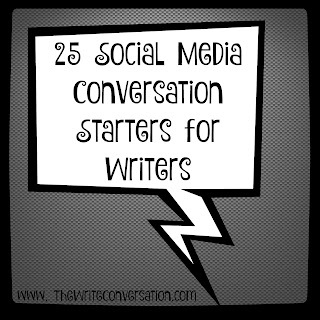 Fuel up on the creative buzz of being around hundreds of other writers. Make new friends and meaningful connections; the event offers plenty of chances to mingle, including the Halloween-themed Cocktail Reception. Come dressed as your favorite character or literary figure! The final roster is still coming together, but the speaker lineup off to a stellar start—with keynotes including New York Times bestsellers Garth Stein (The Art of Racing in the Rain; A Sudden Light) and Christopher Rice (A Density of Souls; The Vines), plus Pulitzer Prize-winning, New York Times bestseller Jane Smiley (A Thousand Acres; Moo) sharing their writing inspiration. You’ll get your best price when you register by October 27. Hope to see you there.